One of the first permanent settlements west of the Rockies, Fort Vancouver is a 191-acre area situated on the north bank of the Columbia River and is home to three sites with their own stories: a frontier fur trading post at the Hudson's Bay Company's Fort Vancouver, a powerful military legacy at the US Army's Vancouver Barracks, and the magic of flight at the Pearson Field. Hosting year-round events with costumed performances and interpretive talks, the site invites visitors to learn about the rich history. 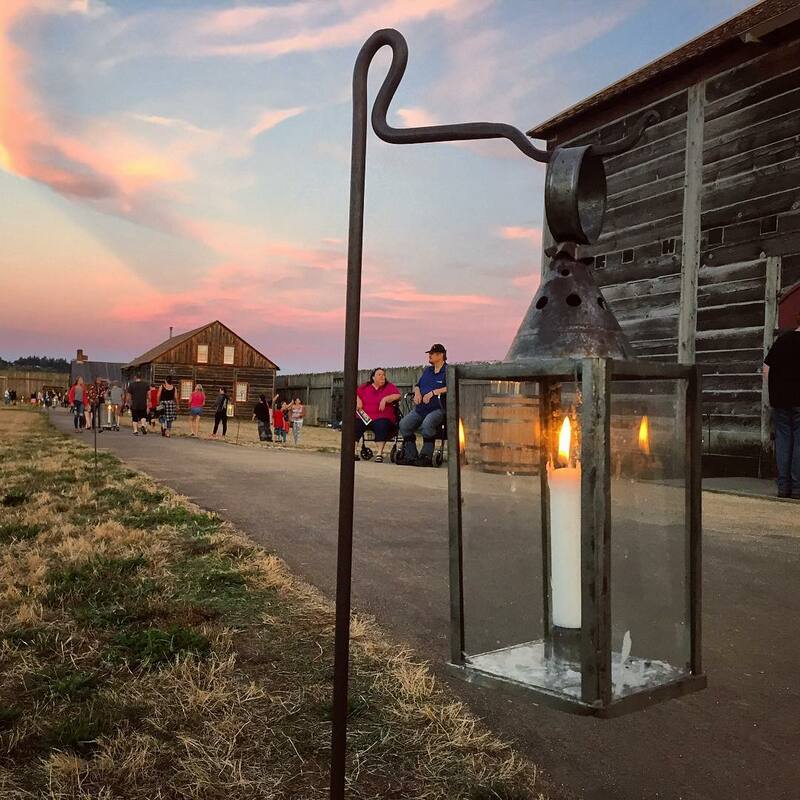 Connect with the past during an after-dark lantern tour, or walk the "Timeline of History" to enter into different time periods at a Campfires and Candlelight event. Dine in a historical establishment at The Eatery at the Grant House, located on Officers Row at Fort Vancouver. Named after the former quartermaster of the Fort, President Ulysses S. Grant, the house was built in 1849 and is the oldest residence in town that is now flourishing as a restaurant. For views of the Columbia River, walk or bike across the Vancouver Land Bridge and along the Waterfront Renaissance Trail to check out Beaches Restaurant & Bar for exquisite seafood and cocktails, or McMenamins for pub fare and freshly brewed ales. Both eateries offer outdoor seating, perfect for taking in the sunshine. Heading west from the Fort, Officers Row connects to downtown Vancouver, with Loowit Brewing, Gray&apos;s at the Park, LUXE, and Tommy O&apos;s Pacific Rim Bistro all serving up original cuisine and beers at the south end of downtown. The Hilton is less than two miles away from Fort Vancouver National Historic Site, and located by Esther Short Park, offering a contemporary downtown experience. Other nearby options include the Comfort Inn & Suites and Homewood Suites. The entrance fee into the reconstructed fort is only $5 for those 16 years and older, and visitors can take advantage of free National Park Service days on specific holidays and during National Park Week. The Pearson Air Museum is free of charge, and features rotating exhibits celebrating the area&apos;s military and aviation history. Both the reconstructed fort and Pearson Air Museum are open to the public Tuesday through Saturday.